If any type of ice cream had the “best summer ever,” it had to have been banana ice cream. This very healthful option was featured in every magazine I read and every e-newsletter I subscribe to. If you haven’t heard of it, you might live under a rock. I’m teasing, of course, but seriously if you haven’t tried it, check out this recipe from Yummly. Interestingly, toward the end of the summer this banana pop recipe started popping up more and more. I tried it. Loved it, too. I especially love this one because you can roll it in whatever healthful ingredients you want. I opted for granola and dried blueberries, rolled in organic, Greek vanilla yogurt. I also think these would make an adorable treat surprise for kids, either before school or on a weekend morning. 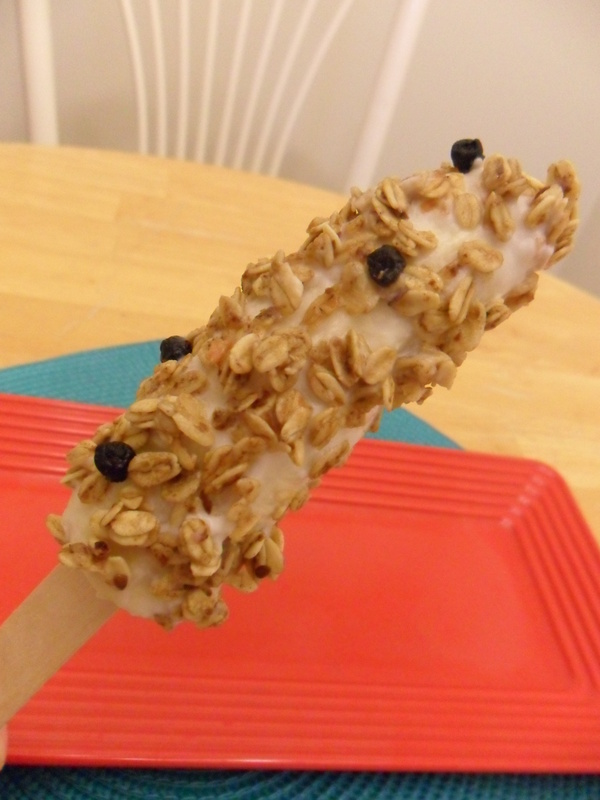 Who wouldn’t love a breakfast popsicle? add-on ideas: mini chocolate chips, coconut shreds, cinnamon-stevia mix, raisins, etc. -In a small bowl, sprinkle out the granola and toppings you’ve selected. -Carefully (and securely) insert the stick into the halved banana. -Holding the banana over another small bowl, coat one side with yogurt. -Sprinkle granola over the freshly-coated side. 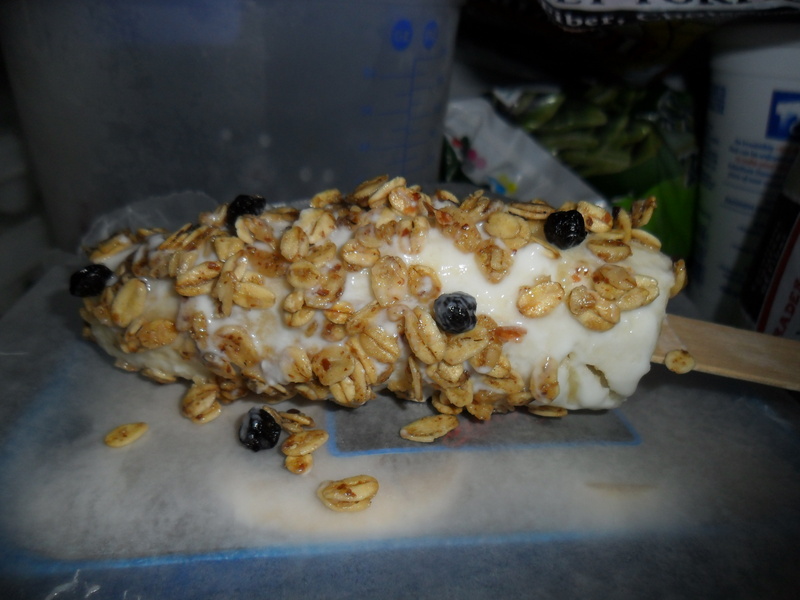 If it doesn’t stick as well, simple roll or press the yogurt-coated side in the granola mix. -Repeat ’til banana is coated all the way around. -When finished coating, place the pop on wax paper and freeze. You can store in the freezer for a while, but I wouldn’t recommend longer than one day.